The homegrown Auto maker and largest SUV maker, Mahindra & Mahindra just launched Scorpio Limited edition, couple of minutes ago priced at Rs 11.88 Lakh. 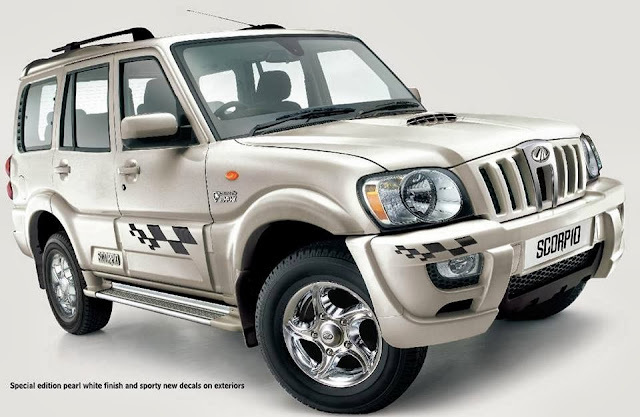 The Mahindra Scorpio Special Edition has come in a Pearl White colour and gets chrome plated alloy wheels and racy decals. 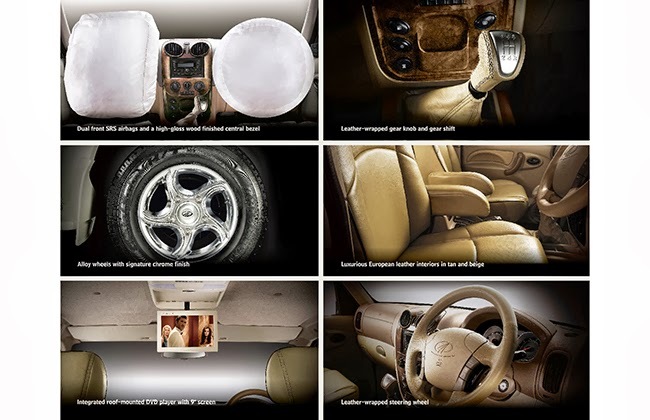 Inside the cabin, the car receives high gloss wood finish centre bezel, rich tan and beige European leather seat upholstery, which give the car a better ambience. Moreover, the steering wheel, gearshift and gear-knob are encased in leather to add a touch of class. The list of additional features doesn't end here, it also gets a roof mounted 9" DVD player, a great feature for the music enthusiasts. Since it's a special edition, there are no mechanical changes given to the car. It continues to derive its power from the same 2.2-litre 4-cylinder mHawk diesel engine, which churns out the maximum power output of 120bhp.